Unquestionably one of the most distinctive​and spectacular events of the year! 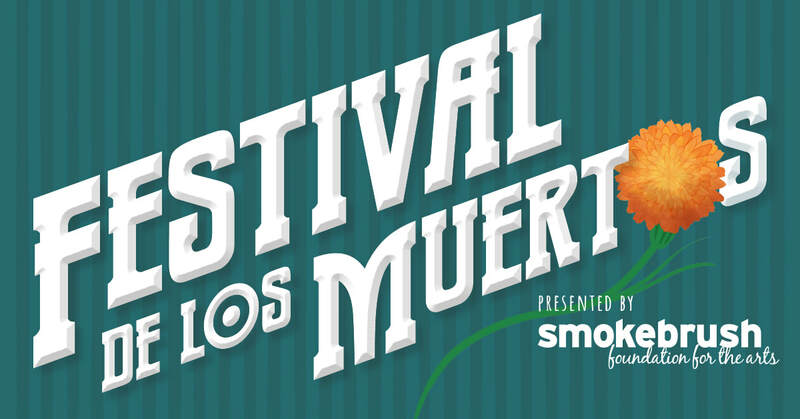 Come join the celebration on October 27 from 2:00 pm - 9:00 pm at Memorial Park in Manitou Springs when the Smokebrush Foundation for the Arts, the Manitou Springs Chamber of Commerce, and the Manitou Springs Heritage Center host the first FREE TO THE PUBLIC Festival de los Muertos following the annual Emma Crawford Coffin Races. The Smokebrush Foundation in Manitou Springs has been celebrating the Mexican Cultural holiday of Dia de los Muertos for eight years, by putting on an evening event named Noche de los Muertos. The annual performance includes circus-style performances, a symbolic skeleton burning ceremony to honor the dearly departed, face-painting, fortune tellers, and revelry all set against the backdrop of stunning visuals and Latin Gypsy music. The event also includes a traditional ofrenda (altar), which gives homage to the dearly departed. 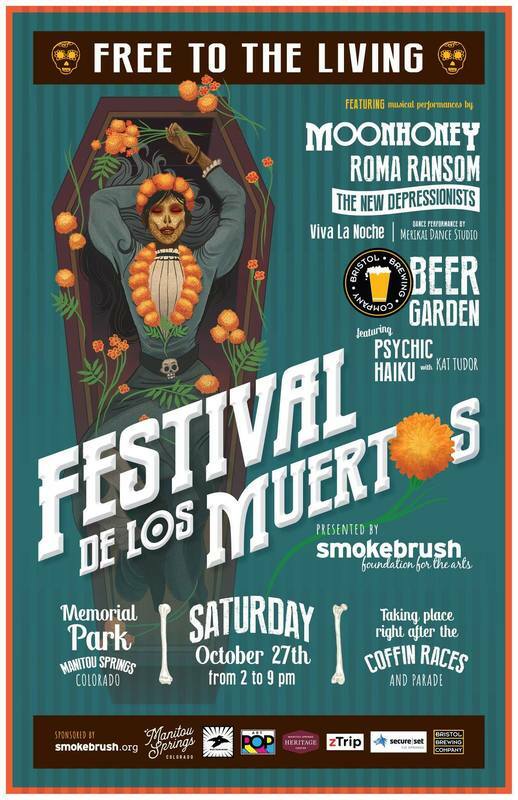 This year the Foundation has joined forces with Manitou Springs to create an extravagant celebration at the conclusion of the coffin races The Festival, with its deep roots in Mexican culture, bares similarities to Halloween, yet focuses more on honoring the memories of loved ones who have passed. This year’s show will be the most extravagant to date - with musical performances by Noche-founders Adriana Rincon and Ryan Flores from Moonhoney, Viva la Noche, Roma Ransom, the New Depressionists, a surprise ArtPOP installation named “Sonder” by the Merikai Dance Studio, special dance performances, beer from Bristol Brewing Company and more! Thank you to our incredible sponsors for making this event possible!